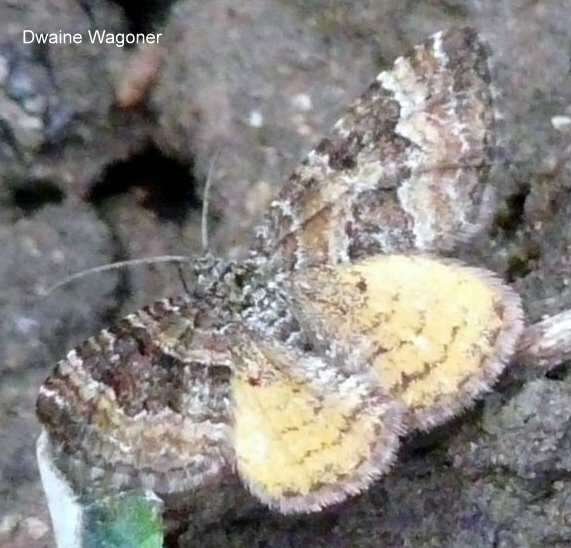 Identification: Forewing brown with white lines and dark yellowish or gold bands in submedial and postmedial areas. Hindwing mostly yellow or gold with dark fringe. Flight: Adults are diurnal; fly from January to early April in California, March to June in British Columbia. Range: British Columbia east to Alberta, south to California, Utah and Colorado.